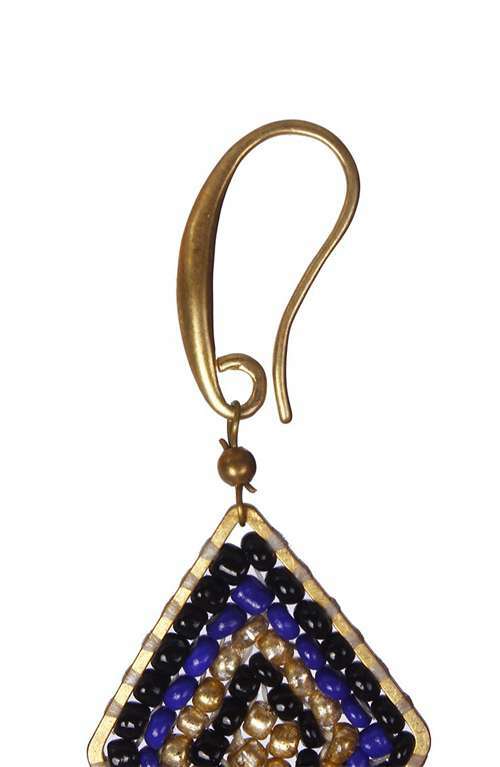 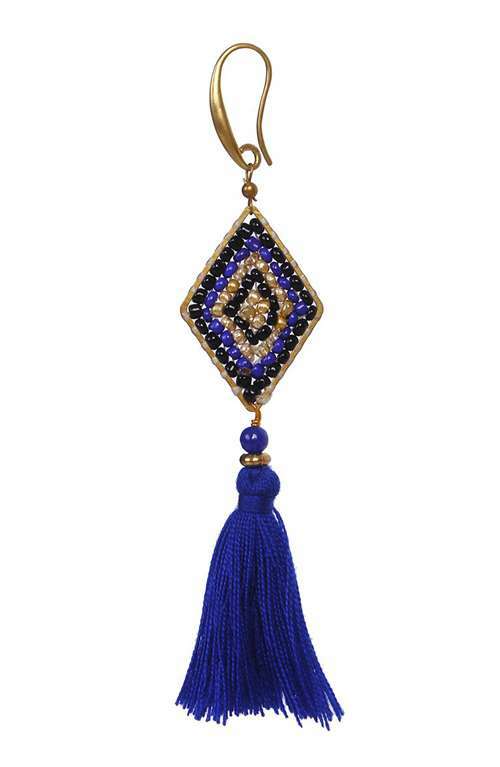 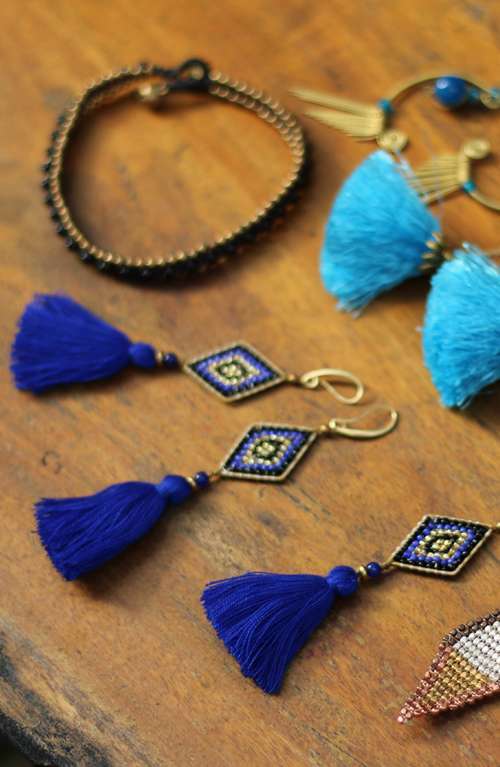 These gorgeous cobalt blue tassel earrings are handmade in Thailand. 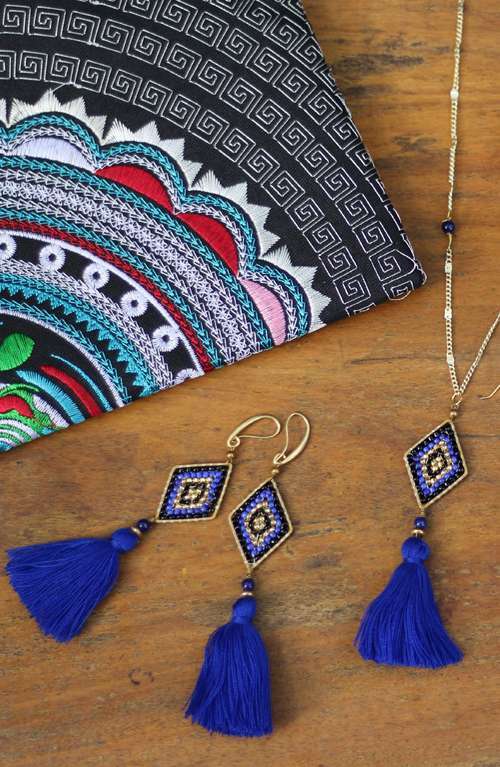 The boho earrings are made with silky blue tassel and hang down long! 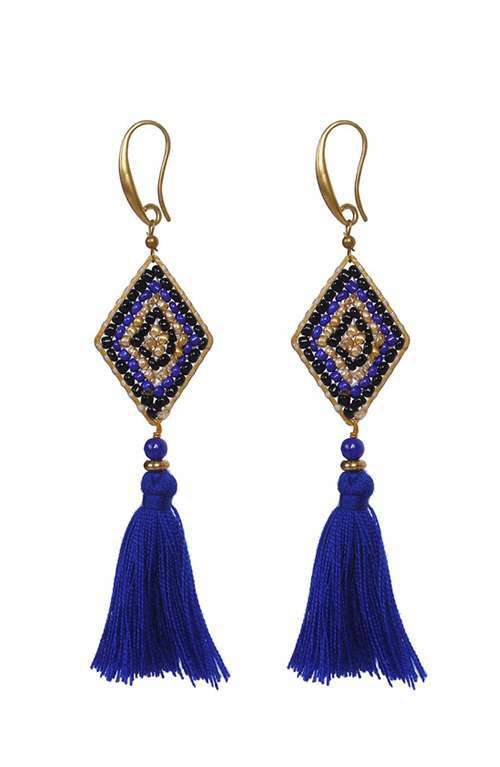 These bohemian earrings are the perfect boho accessory!